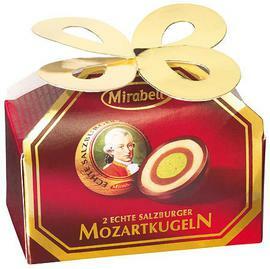 Mozart balls are the most famous sweet from Austria. 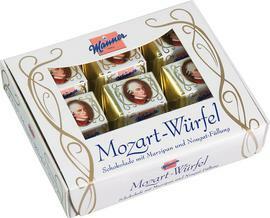 These are small chocolate balls that contain a refined combination of nougat and marzipan. 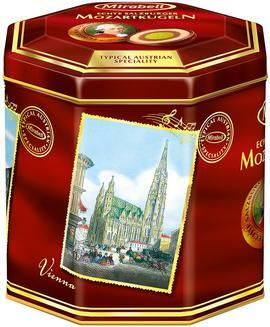 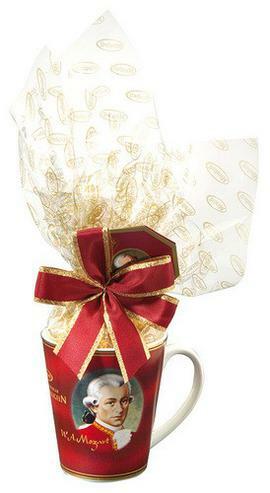 Chocolate Mozart balls are a typical gifts and souvenirs when traveling to Austria. 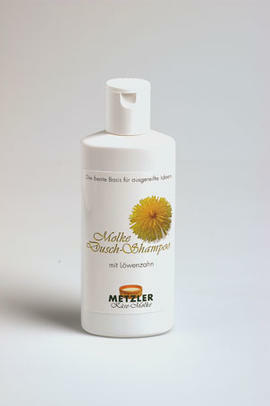 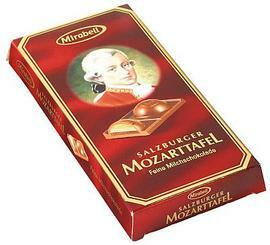 It is produced in Salzburg (Mirabell) and Vienna (Victor Schmidt, Heindl), it was first conceived in 1890 and named after the famous Austrian composer Wolfgang Amadeus Mozart. 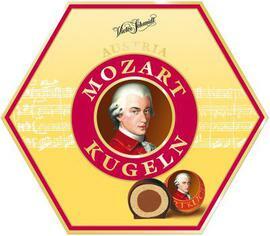 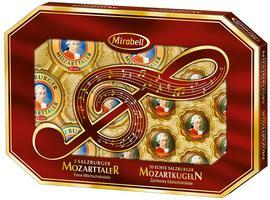 In our online shop you can buy genuine Mozart balls in different packages and gift boxes. 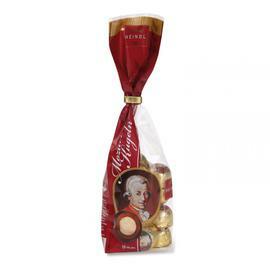 Mirabell Mozart Balls Austria Bag 9 pcs. 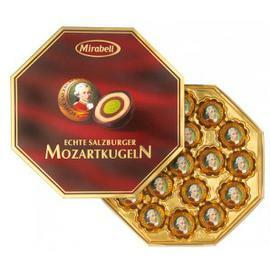 Mirabell Mozart Balls transparent bag 17 pcs. 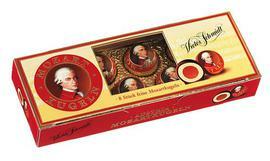 Mozart Balls Vienna Victor Schmidt 8 pcs. 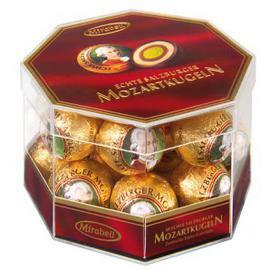 Mozart Balls Victor Schmidt 50 pcs. 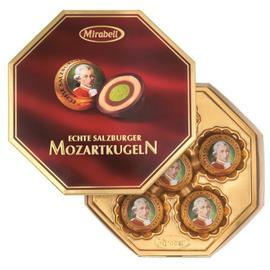 Mirabell Mozart Balls 24x2 pcs. 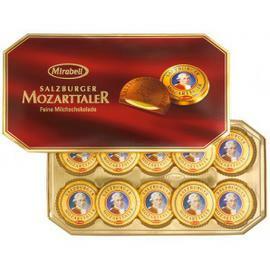 Mozart Rounds Mirabell Austria 12 pcs. 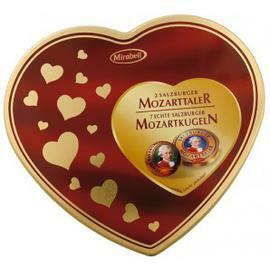 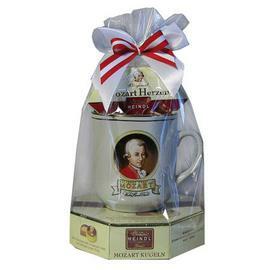 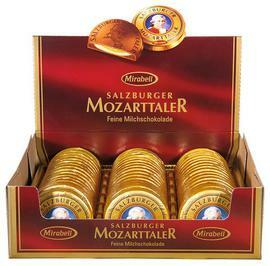 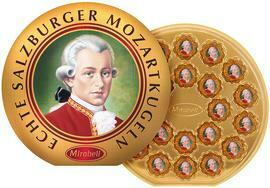 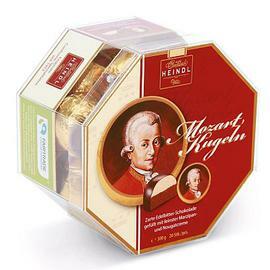 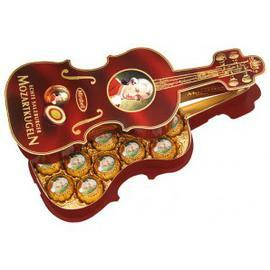 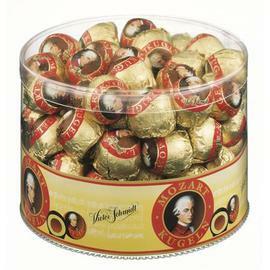 Mozart Chocolate Coins Mozarttaler Mirabell 48 pcs. 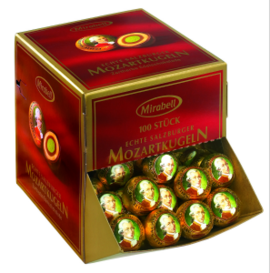 Big Pack Mozart Balls Mirabell 100 pcs. 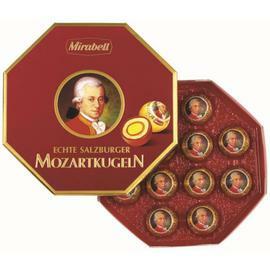 Mozart balls Heindl bag 7 pcs. 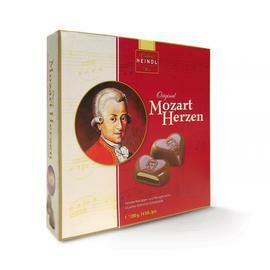 Mozart hearts Heindl 14 pcs. 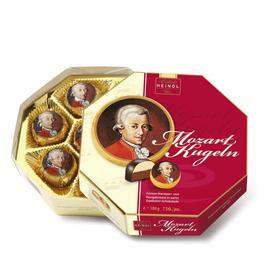 Mozart Balls Heindl box 20 pcs.